On May 30, 2017, on the eve of the arrival of Chinese Premier Li Keqiang in Europe for an official visit, Deutsche Bank, the largest German bank, announced that it had reached an agreement with the Chinese bank “China Development Bank”. Under this deal, Deutsche Bank would invest up to $ 3 billion in “Belt and Road” projects over the next five years. This agreement will surely accelerate the OBOR initiative. First of all, China is succeeding in internationalizing the Belt and Road project by involving commercial banks. This means that major banking institutions believe in the potential offered by the initiative and expect to realize benefits. This agreement will also allow the Chinese bank “China Development Bank” to benefit from the great expertise of the “Deutsche Bank” in conducting international projects. On the other hand, Deutsche Bank’s participation in OBOR will undoubtedly encourage other European banking institutions to enter into similar agreements in order to take full advantage of the OBOR market. 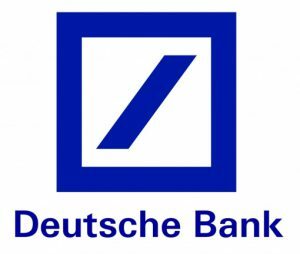 Share the post "Deutsche Bank invests in OBOR"